This listing is for two filters. This part replaces part #: S3227, 17670-ZW1-0801AH, 18-7948. This part suits the following engines: Honda Outboards. 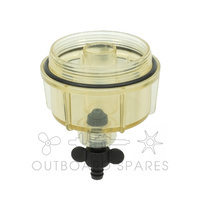 Outboard Spares brand of parts are tested in Australia's harsh marine environment with a focus on quality and durability. 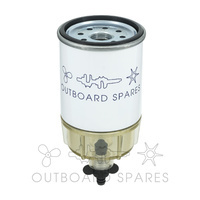 Outboard Spares parts are used by professional fishermen who depend on their parts to stay on the water and in business. So next time you service your engine choose what the professionals use, choose Outboard Spares. Oils & Lubricants can only be sent via Free Standard Shipping. Orders are dispatched same business day if ordered before 3:30pm AEST. All orders are dispatched from Melbourne, Victoria and are sent via Australia Post. For delivery time estimates with Australia Post please use their delivery calculator here: auspost.com.au/parcels-mail/calculate-postage-delivery-times/#/. 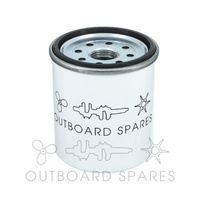 If you have any questions relating to shipping, please contact us by emailing info@outboardspares.com.au. © 2019 Outboard Spares Pty Ltd. All Rights Reserved.